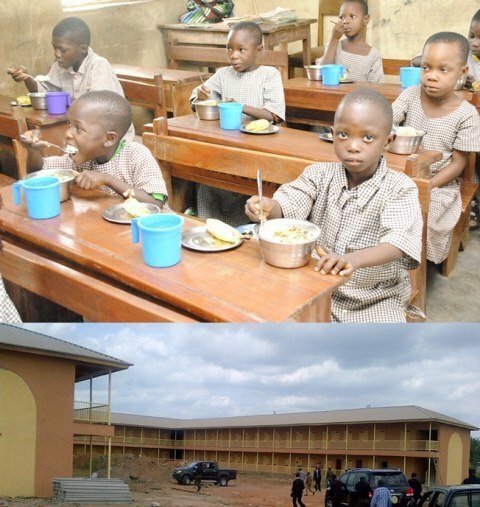 No fewer than 147,000 children of school age have been enrolled in public elementary schools in the state of Osun this current 2013/2014 academic session. Governor Rauf Adesoji Aregbesola made this known at the weekend in Lagos while speaking after being conferred with a Special Award as a Man Making a Difference(M.A.D) in the 2013 GAME Award for his outstanding contributions to educational development in the state. The Governor said the state was ranked second state with highest number of out of school children in the federation but today stands as best in elementary school enrolment in the South West following the introduction of these education oriented programmes and increase in the state government’s investment in education. Mr. Aregbesola, who said coming 34th among the thirty-six states of the federation in terms of federal allocation did not deter his administration from fulfilling his electioneering campaign promises to the people of the state, said actualization of his six point integral action plan have positively impacted on lives of people of the state. Governor Aregbesola said tackling youth unemployment in the state was part of what attracted him into government and prompted him to give employment to 20,000 youths within his 100 days in office through the Osun Youths Empowerment Scheme (OYES) and other youth employment driven programmes like O’REAP, O-HUB, O-FISH among others. The Governor thereafter called on Nigerian youths to work hard towards the actualization of their dreams and aspirations for life to positively transform the nation saying the future belongs to those who plan for it today and work hard towards the actualization of their dreams.